Dirt Connections offers very affordable, and sometimes even free Arlington, VA fill dirt delivery to commercial and residential construction sites. We work with projects of any size and scale. 7 Schedule an Arlington, VA Fill Dirt Delivery Today! Fill dirt is dirt from the subsoil level, which is just below topsoil. Fill dirt is especially helpful for use in construction, because it contains minimal to no organic material which often causes soil to breakdown due to decomposition of organic material. Fill dirt is essential for filling any holes or unevenness that could be affecting your site’s landscape and construction required fill dirt for a durable and stable foundational surface that will remain intact for many years. Our fill dirt has many uses for remodeling, construction, development, and landscaping. Each project is unique, therefore will require different amounts of fill dirt based on its specific requirements and its size. 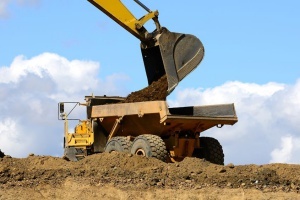 Regardless of how large or small your project is, Dirt Connections is able to conduct an Arlington, VA fill dirt delivery for any purpose. Dirt Connections has all the material and resources to meet all of your fill dirt needs, regardless of the size of project in question. However, a delivery fee could apply based on the job site’s location, certain demands, and the availability of particular material for your project. During our site safety inspection we can discuss your project in-depth. Before Dirt Connections can provide delivery, we will need to carry out a site inspection to ensure the safety of everyone involved, and to make sure we are all on the same page. The owner or a property agent needs to be present to grant authorization prior to signing off on the delivery order. 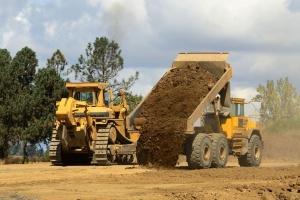 If your project has some leftover dirt, or part of your project is to remove dirt from your job site, Dirt Connections is ready to take care of that for you. We make the process quick and easy because we are the experts with handling excavation, hauling, and dumping your unwanted dirt. 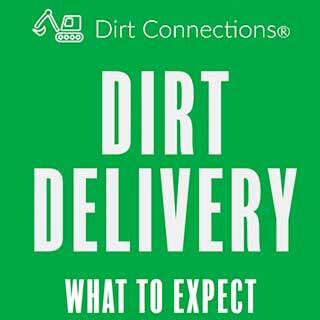 Dirt Connections is always ready to make your project run smoothly through our affordable or possibly free fill dirt delivery directly to where you need it. Once our site safety inspection has been completed, we can get started on the details and specifics of your delivery. We have been delivering dirt to Arlington, VA and all over Northern Virginia for many years now and our familiarity with the ins and outs of this busy area ensures we are always right on time when you need your fill dirt delivered, or removed when you’re ready to clear away the dirt. The team here at Dirt Connections wants to make sure you don’t have anything to worry about when it comes to all of your dirt needs. Not having enough dirt for what your project needs can cause some setbacks on your schedule. To avoid having to wait for more dirt to arrive, we encourage you to measure your construction area to assess how much dirt you will really need beforehand. Measuring the area will depend on the shape and size of the area in focus. Estimating dirt for circular projects is a little different than measuring fill dirt for rectangular projects. Rectangular projects must have measured out its dimensions of length, width, and height, and convert the number into cubic inches. This is the most efficient way to do so, as it can be simply converted into cubic yards. Follow this by multiplying the width and the length, and this number by the height of the space. This result is how many cubic inches of dirt required for the project. For rounded areas, start off by measuring the space’s diameter, and then its depth, and record both values once again in inches. Volume is found by multiplying pi (3.142) by the radius squared, and then by the project’s depth. Schedule an Arlington, VA Fill Dirt Delivery Today! No matter what size project you have on your slate, our company can always be depended on to help with any of your fill dirt needs. Our affordable delivery service is convenient, dependable, and always professional. We encourage you to reach out to us by calling us or by sending a message online during your next project to see what we can do for you.